We have a Upper Sacramenot River Fishing Map and Fishing Report for fishing the upper Sacramento River showing where to fish and how to fish this River whether fly fishing or otherwise. 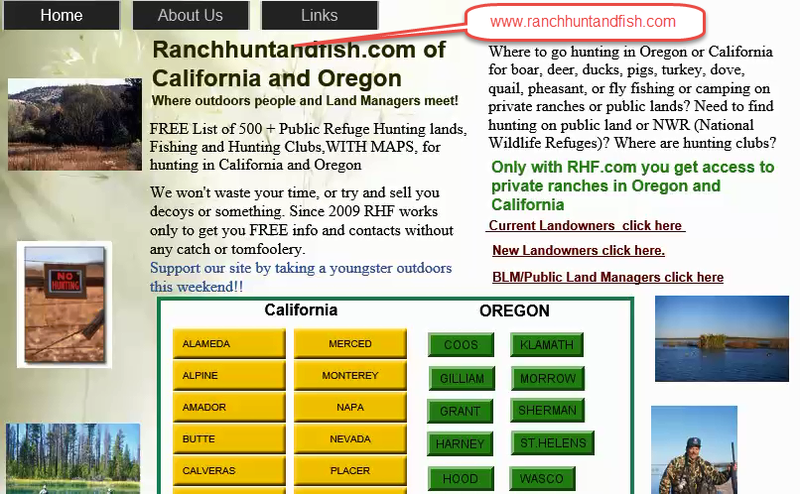 See our fishing report fishing, and links to public hunting, private ranches and hunting clubs in California and Oregon. What would you say if one of California's best trout population per mile lie right next to one to the busiest highways in California? The Upper Sacramento River finds some of the best trout ﬁshing in the state, and while casting ﬁles and retrieving lures as the cars and trucks roar by not sound idyllic, this is perhaps this is why people don't stop and fish. But still it is amazing the Upper Sacramento is ﬁshed so infrequently by Californians. As shown in our fishing map, the river’s source is in the Shasta National Forest in southern Siskiyou County, into Siskiyou Lake, sort of a secondary starting point of the river. Fishing is excellent at Soda Creek, the mouth of Little Castle Creek and Root Creek down to Castle Crags State Park. More down on I-5, there is great Upper Sacramento river trout action at Castella, Sweetbriar and Contant. 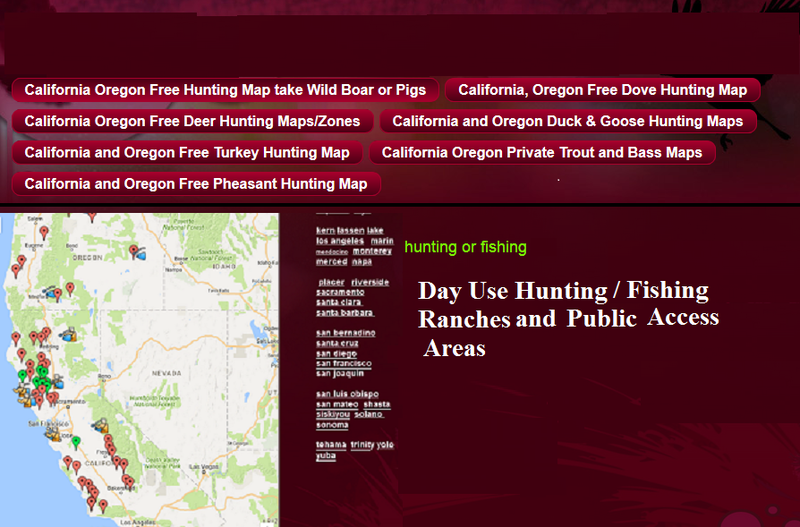 The Upper Sacramento continues (see fishing map) until it enters into Lake Shasta. Open from the last Saturday in April until Nov. 15, the limit is 10 trout a day, and you can use bait, ﬂies and lures. It’s stocked, but the wild trout population is the real quarry on the Upper Sacramento. The wild trout can be sizable to 6 pounds, but 5 X tippet line is what it takes to fool the wild trout, you need really light lines!!!!….. 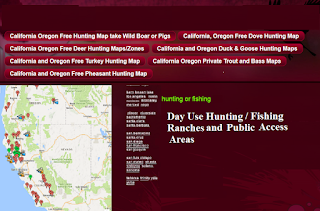 Even more, our sister site has 200+ ranches and hunting clubs, county by county, that you can hunt on or join.